If my mother is any indication, retirement means you get a new full-time job of sending your daughter funny images through Facebook messenger. I get adorable monkey videos, ecards mostly making fun of my math skills, and gems like the one above. If that is not the single most apropos thing ever, I don’t know what is. The need to buy every book in Barnes & Noble is sometimes too great to handle, though I usually find a way to manage and generally buy at least one a week. My “to read” pile is getting out of hand. Especially since I renewed my Vanity Fair subscription and am making a concerted effort to read it cover to cover, on top of the Sunday New York Times that generally takes me a week to finish (and I only read the good sections). Retirement….every day is Saturday which gives me plenty of time to make a triple shot cappuccino and send you posts that will bring a smile to your face. 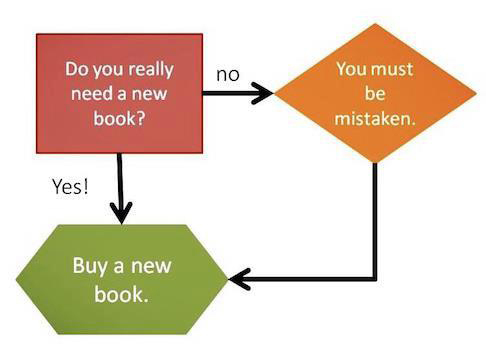 This is the flow chart that my brain goes through when it comes to deciding whether or not to buy a new books as well. Any good ones lately? Your mom is awesome! I hope I’m half as cool as your mom to my kids. And, yes, buying a book is *always* a good idea. I’m with you on the goal of reading every issue of VF from cover to cover. 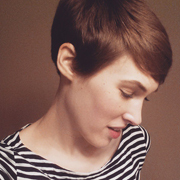 (I had been slacking in recent months.) I got that opportunity on my plane ride home from NY. 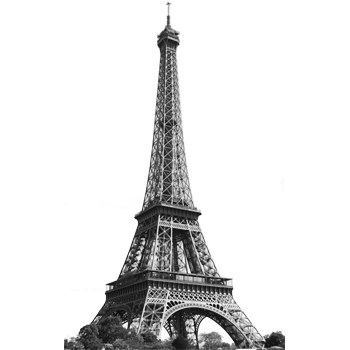 Did you read the article, The French Habit of Giving Advice? It was pretty interesting. ha. i need to print this out and look at it every time this goes through my head so i can see how i am fooling myself by ‘no’ never actually being an option when it comes to books. my to-read pile is turning into a library. it’s been out of control for awhile now :) and don’t even get me started on the magazines. My to read pile is way out of hand too since being in college for the last five years. I’ve only been able to finish a handful of books. Now I am in the middle of ten and a mile long list to read after these. There isn’t enough time! Too funny- I am now “making a concentrated effort” not to renew any mag subscriptions. They’re taking over the apartment- I swear they’re alive Erin! But that is a funny picture/diagram. I read it months ago! It was great, I love Hilary Mantel. I just discovered the book section at Costco and they had quite a few books from my Want list, all between $5 and $10. This is a dangerous discovery.